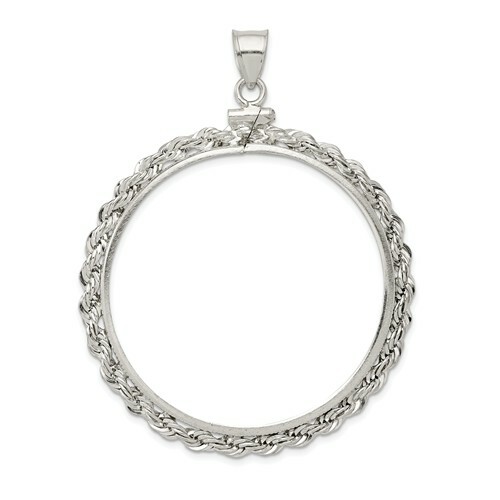 40.6mm x 3.1mm rope coin bezel pendant is made of polished sterling silver. 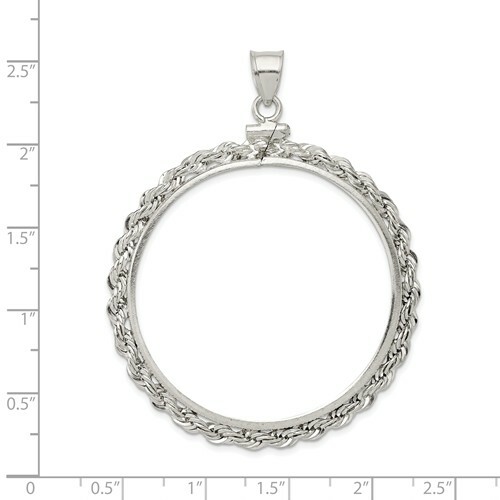 This pendant fits Liberty silver dollars. This bezel also fits these coins: 1 oz Australian silver Koalas, 1 oz Australian silver Kookaburras, 1 oz Chinese silver Pandas, 1 oz Mexican silver Libertads, 1 oz Niue Hawksbill Turtles. Made in the USA. Coin not included.